Next Monday, 21 September is the UN’s International Day of Peace. 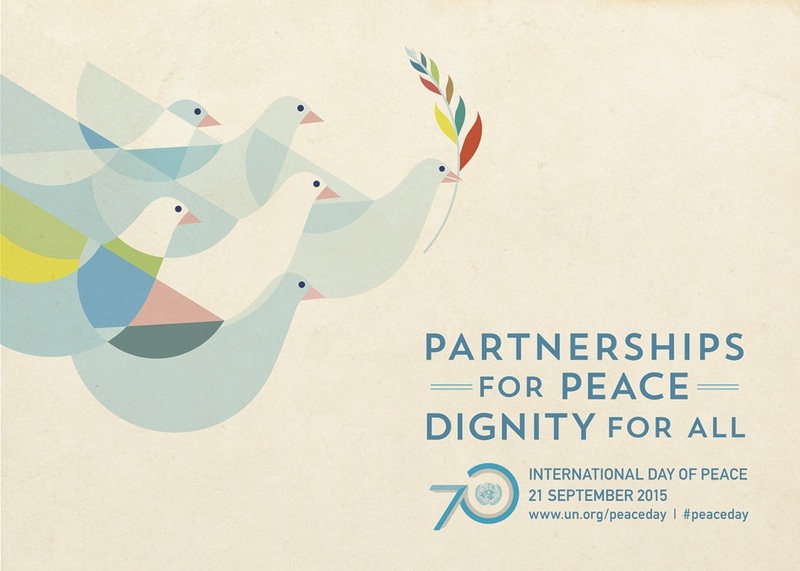 A day devoted to strengthening the ideals of peace, within and among all nations of the World. The theme this year is “Partnerships for Peace, Dignity for All”, highlighting the importance of all people in all societies to work together to strive for peace. It’s up to each and every one of us to unite against war and conflict, and help bring these ongoing issues to the attention of others. Next PostIt’s So Quiet Here!